From Goodreads.com: "The award-winning author of The Peabody Sisters takes a fresh look at the trailblazing life of a great American heroine—Thoreau’s first editor, Emerson’s close friend, first female war correspondent, and passionate advocate of personal liberation and political freedom. Marshall tells the story of how Fuller, tired of Boston, accepted Horace Greeley’s offer to be the New York Tribune’s front-page columnist. The move unleashed a crusading concern for the urban poor and the plight of prostitutes, and a late-in-life hunger for passionate experience. In Italy as a foreign correspondent, Fuller took a secret lover, a young officer in the Roman Guard; she wrote dispatches on the brutal 1849 Siege of Rome; and she gave birth to a son. Yet, when all three died in a shipwreck off Fire Island shortly after Fuller’s 40th birthday, the sense and passion of her life’s work were eclipsed by tragedy and scandal. Marshall’s inspired account brings an American heroine back to indelible life." 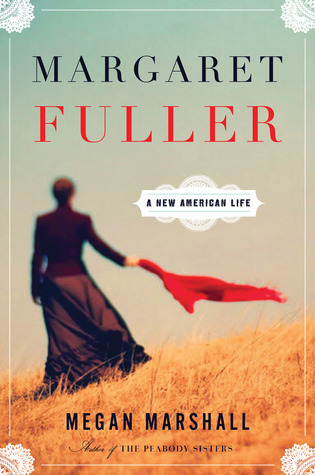 Before I read "Margaret Fuller: A New American," I didn't know much, if anything about her! I was drawn to this book because I really like stories about strong and interesting people. She fits very nicely into both of those categories. She also falls into the whole "person before her time" category, which is another thing I love reading about.This book covers from her very early childhood to her tragic ending being shipwrecked on Fire Island and dying with her family. Margaret Fuller is truly an interesting person to read about. I wish I had become familiar with her sooner! She wrote a lot of different books and essays about many different subjects with a heavy focus on women and their place in early to mid 1800s society, which was a time of great change for both the United States and its women. She ran with some of the elite thinkers of the time and was quite friendly with the likes of the famous poet, Ralph Waldo Emerson. She was also very respected as a writer by many even if she also had her share of critic. You can tell that Ms. Marshall did a lot of deep research on Fuller. Marshall draws extensively from Fuller's own writings and writings about her as well as letters from various people in her life. It gives a really good, well-rounded picture of who Ms. Fuller was and why she is still important today. There is one possible downside to dwelling so much on various writings though. There is a liberal use of quotation marks and it gets a little distracting, especially when there are only one to two words in the quotation and they don't seem to be particular remarkable or unique. I would rather have had Marshall use her own words for the one and two word quotations as these small quotations do not seem to lend themselves to the overall flavor and feeling of the book. Overall, this book will appeal to non-fiction and biography lovers who want to read about a truly fascinating person! Today I'm pleased to be able to give away a copy of this book to one lucky winner (US/CAN only)! I love that cover! She's looks like a matador! Though I was not familiar with the subject previously, this sounds like a great re-telling of an interesting and unusual life story. I'd be very interested in reading it. Thanks very much for the post and the giveaway. I've never heard of Margaret before this book but it sounds like I've missed out on an amazing person! Thanks for being a part of the tour. I'm glad you enjoyed this book! I am not familiar with Margaret Fuller but I do like to read about women who made a difference. Very nice review! 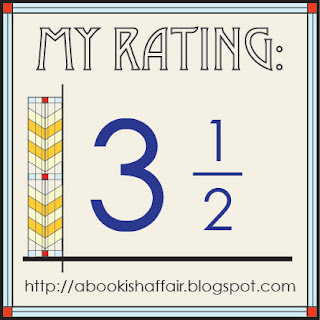 Now that I've posted my review, I'm "allowed" to read what others thought of this biography. 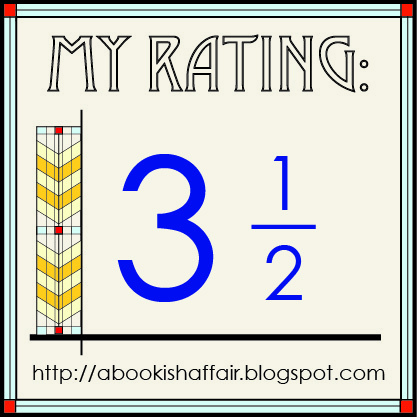 Meg, our reviews are quite different, but we share some of the same thoughts and feelings about the book.